Twenty years ago, Christiana Frank founded KidScape Productions (kSp) at the At-Risk Youth Division of the New York City Police Department. Currently, in Northern Nevada and Northern California kSp works with 1000-1400 students every week. Many of their past and present students have learned that they improvise all the time in their daily interactions. kSp’ focus on applying that improvisation helps students learn tactics that enhance these interactions and offer them opportunities that they may never have had otherwise. 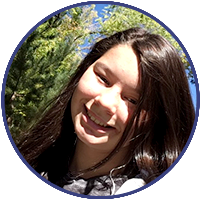 One of those students is 15-year-old Eliot Current, a high school freshman who now works as an intern for the very same company that taught her many of the skills she uses to succeed in her daily life. She credits kSp not only with her confidence and ability to take on life’s challenges, but also with a place to come to when those challenges become overwhelming. Eliot participated in her first Full Play Camp with kSp at seven years old after her best friend invited her to join. Full Play Camps are opportunities for students to put on entire plays with 30-40 other kids and full costumes and set in a week. After her first Full Play Camp, Eliot enrolled in several more, gaining more responsibilities each time. Around this time, Eliot began participating in KidScape Productions school day and after school programs,which she says helped her tremendously with day-to-day communication. After three years of After School Programs followed by a brief hiatus, Eliot took an interview class with kSp, where the owner and founder of the company, Christiana Frank, offered Eliot an internship. This interview class was coordinated by the Washoe County School District Gifted and Talented program, which brought KidScape Productions in to run and assess Applied Improvisation for interviewing skills in grades 9-12. Now, as an intern, Eliot helps teach improv at the very same school where she once took classes, and loves the opportunity to help teach kids improv. After taking on a leadership role during Play Camps, it’s a natural transition for her. Not only is her role as an intern and teacher a perfect fit, but it’s also an incredibly rewarding role for Eliot. In school, Eliot uses lessons from KidScape Productions to coordinate group projects and give her confidence for effective public speaking. At home, she uses lessons to be an active listener and an active participant in conversation. After spending such a significant portion of her life involved with kSp, she finds that the lessons and tactics from her improv classes come naturally to her. Eliot is now a far cry from the nervous seven-year-old in her first full play camp with KidScape Productions. She is currently a member of the Future Business Leaders of America, a club which teaches high school students how to succeed in business, but Eliot feels that kSp has essentially given her a head start. Without a doubt, Eliot feels confident in the knowledge she has gained from classes and camps with kSp. Now, as an intern, Eliot has a whole new side of things to learn, and she’s excited for the road ahead. Eliot plans to start college by studying international business, and is open to changing her course of study as she figures out where her passions lie. Whichever path she ends up on, she knows that she will bring the lessons of kSp with her to travel that path with a lot more confidence. She has molded this observation into something that she can draw from in her own life, in places literally around the world. Looking back on hard times, Eliot is able to see ways in which KidScape Productions helped her move through tough situations with the support she found in her classes. She found that this was especially true in recent years when she went through a particularly hard time.